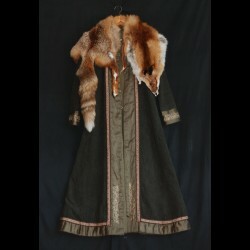 Coat made of thick dark green wool with silk and tablet braid. A coat made of thick dark green wool. 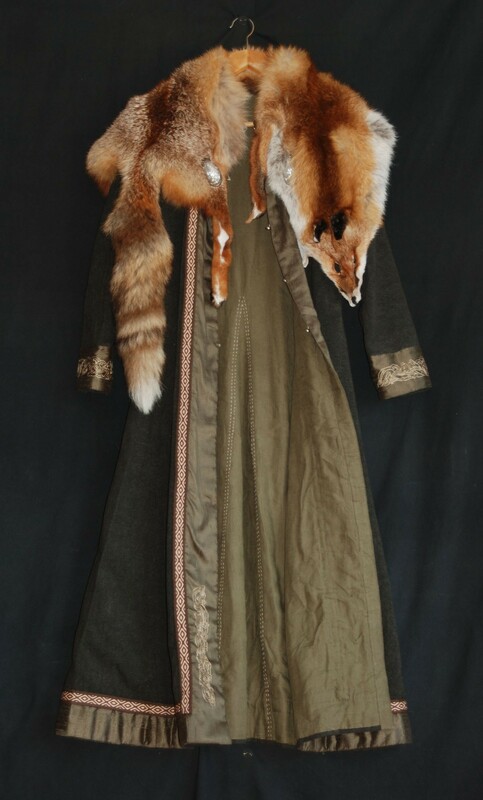 The cut of the coat is based on a find from Birka, Sweden. The cut is a geometrical one based on a T-shape, with a small undercut in the armpits for more comfort in wearing. Symmetric front cut, with a undercut at the neck. The sleeves reach to the wrists and are finished with a stripe of green handmade silk. 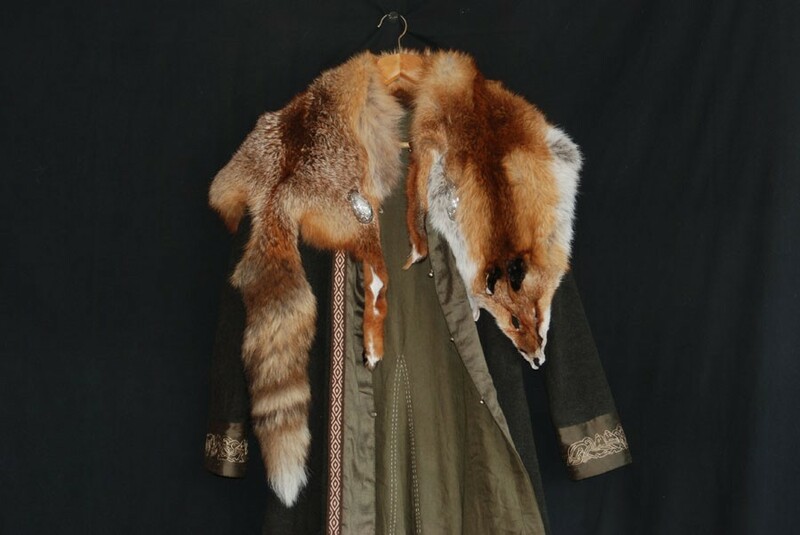 The coat has three wedges, one on each side and one in the back. The length reaches to the calf. The inside has been lined with linen. It’s fastened with five silver bottoms. 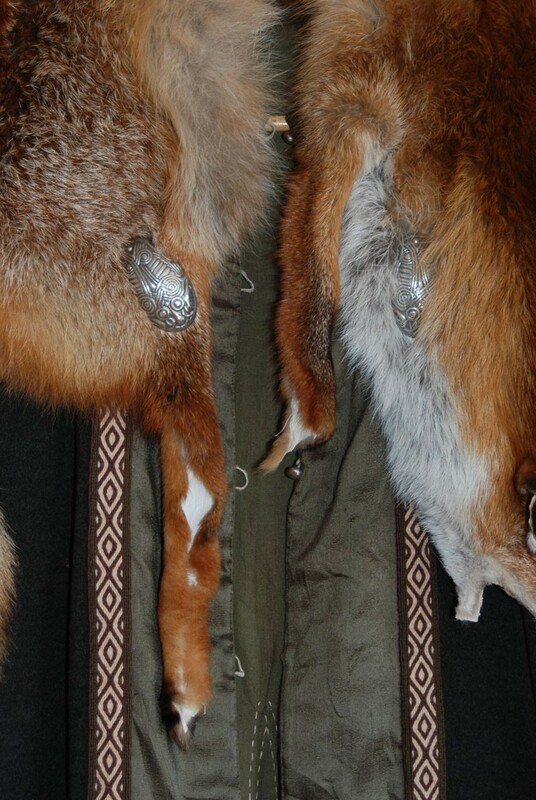 Collar made from fox skin, fastened with two silver brooches. The hem of the neck, cuffs and lower edges of the coat have been bordered with hand made stripes of green silk. The cuffs and front are embroidered made with silk thread. The stitching’s motive is in Jellinge style, found on a stone on Isle of Mann. The hem of the front and down part of coat are bordered with handmade braid from 100% wool , made on tablet weaving. 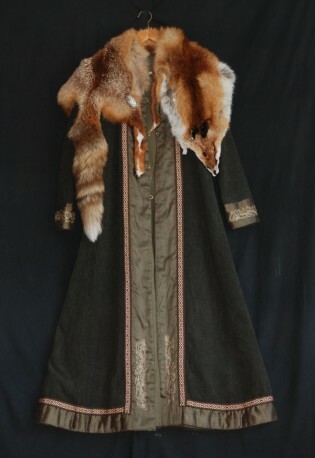 Price for such coat about 300 EURO, without silver parts.